“Laid-back and easy going … There was not a dull moment while he was on stage” bbc.co.uk. 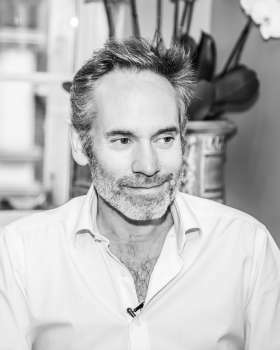 Dominic Frisby is an entertaining and informed financial commentator. Quick-witted, warm and well-spoken, he is also an extremely charming host. The Money Pit, with Jason Manford, in which Dominic was the resident financial expert. He has just finished writing and presenting, Sense of Beauty, 1 6-part series about beauty, which is now in pre-production. Daily Politics (BBC Two) and Moral Maze (BBC Radio 4). He writes a weekly investment column for Moneyweek, and regularly contributes to the Guardian, the Independent and Aeon. His 2014 book, Bitcoin: the Future of Money? (‘Read it and glimpse into the future,’ said Sir Richard Branson) was the first book on bitcoin by a recognized publisher. His other book is Life After the State (‘Something extraordinary … a page-turner on the economy’, James Harding). Following his 2016 sell-out show, Let’s Talk About Tax, Dominic is currently working on a book about tax for Penguin Random House. In 2018 he returns to Edinburgh with a new financial gameshow/quiz and is currently preparing for that. He has hosted (and continues to host) numerous podcasts, including: Stuff That Interests Me, the Virgin Podcast, Commodity Watch Radio and Penguin Random House’s Live Life Better. Previous jobs in Dominic’s varied life include: sports commentator, florist, rapper and boxing ring announcer. He worked for many years as a stand-up and still comperes gigs once a week to “keep the muscle”. Day-to-day he can be found trotting about the sound studios of London, busying away at voiceovers. As a hobby, he enjoys making short videos for YouTube. One of them, Debt Bomb, became a viral hit.